Chaz is Founding Partner of Whitehouse Private Wealth, a leading boutique accounting firm on the Gold Coast. 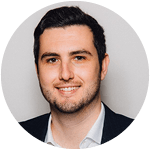 Chaz works closely with entrepreneurs and business startups and also works with those who require a higher level of financial expertise and commercial acumen than that normally provided by an accountant or business advisor. 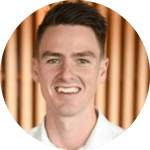 Chaz has a passion for helping small and medium sized businesses maximise their potential and value through his proactive approach to management accounting, budgeting and corporate governance. 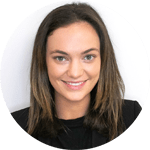 Proving that the GCJCC really does open the door to new opportunities, Eva joined Chaz’s team at Whitehouse Private Wealth in mid-2017. As Manager of the firm, Eva runs the day-to-day operations and business strategy. Eva became a passionate Gold Coaster as soon as she moved here to study at Griffith University. With years of experience in project and event management, she is excited to be part of the new generation of business leaders driving innovation and opportunities in this thriving city. Star practices in commercial litigation at Rose Litigation Lawyers and assists individuals and small to medium businesses to resolve their disputes in the most commercial way possible. Star graduated with a Bachelor of Laws with honours from Bond University. Growing up on the Gold Coast, Star wants to see local businesses thrive and the city continue to grow economically. Being the Memberships Director for GCJCC, Star is the first point of contact for all members and is here to help current and new members interact with the Chamber. Alec has a number of years experience in the tourism industry, working for some of the largest employers on the Gold Coast as well as two years for the Federal Tourism Minister. 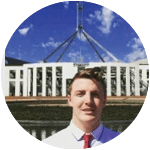 Currently, Alec works for David Crisafulli MP, the Shadow Tourism Minister for Queensland and is undertaking Tourism Management and Public Policy & Politics at Griffith University. Raised on the Gold Coast, Alec knows firsthand the benefits of being brought up here and the growing opportunities for young people in our city. He is excited to contribute towards the shaping of our home and is a strong believer in the capability of younger generations. 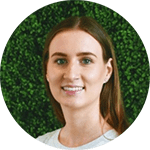 Olivia specialises in communications, currently undertaking Business, Public Relations and Communications at Griffith University and is the PR Coordinator for Gold Coast Fashion Week. 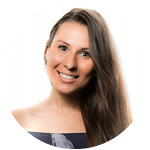 She has experience in a range of industries, with her work published on various platforms, having secured media coverage and created social content. 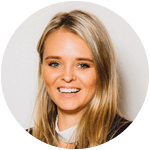 She has a passion for communications and joins the team to use these skills and spread the word on the work the GCJCC does for the younger business people of the Gold Coast. Julian practices in Corporate Law focusing on mergers and acquisitions, capital raising, IPOs, ASX matters, private equity transactions and general corporate and compliance work. He graduated with a Bachelor of Laws with 1st class honours from the Griffith University Law School and also holds a Bachelor of International Business. 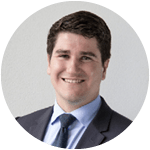 Since joining the firm, Julian has been admitted as a solicitor of the Supreme Court of NSW and Qld in 2013 and is a solicitor of the High Court of Australia. Julian has a broad knowledge of corporate law and joins GCJCC to contribute his insight & experience. Founder of Shuttle Digital, Fabio is very passionate about what he does and continually strives to develop his knowledge and skills. 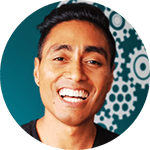 Fabio is a creative at heart and business enthusiast at mind. He has a forward thinking mindset and is a big advocate for fostering change through social movements. Fabio loves helping people create memorable brand experiences and is always up for any challenge pushed his way.